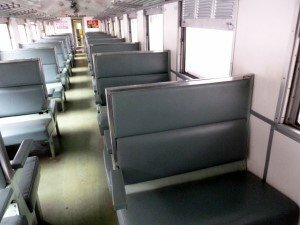 Train 170 from Hat Yai Junction to Hua Lamphong Railway Station in Bangkok is a cheaper overnight Rapid service, with a range of seating and both fan and A/C sleeping coaches. 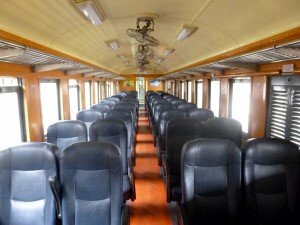 Most people travelling on this train will opt for the most comfortable coaches, the "Day and Night" carriages. On this service you get a choice of fan or air-conditioned sleeper carriages. 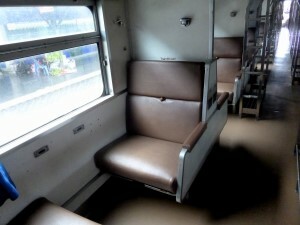 The cheaper fan cooled carriages are quite popular as some people find the air-conditioning too cold on Thai trains. However, if you are travelling during the really hot months of March, April and May, you may want to pay the extra for A/C. 2nd class seat carriages have quite comfortable reclining seats, but for this long overnight journey, it is well worth paying more to get a bed. 3rd class carriages are okay for shorter journeys, but for this long haul to Bangkok, we would not recommend it, unless you are on a really tight budget. If you want to travel on this train to Bangkok from Hat Yai Junction, you should book your tickets in advance if you plan to travel in one of the 2nd class carriages. 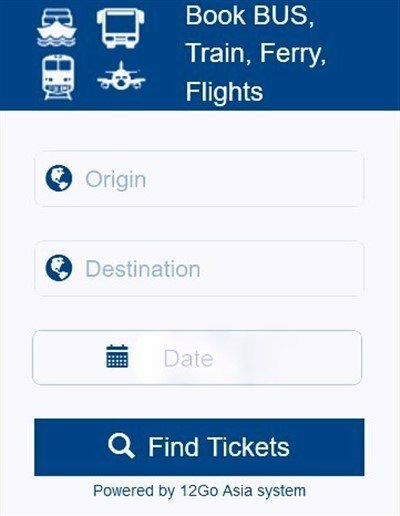 You can book tickets from the advance booking office at Hat Yai station or from any other SRT railway station in Thailand.